One of the many interurban lines created in the heady days of the early twentieth century was the Youngstown & Southern, running from a connection with several major railroads near Campbell, Ohio to New Galilee. 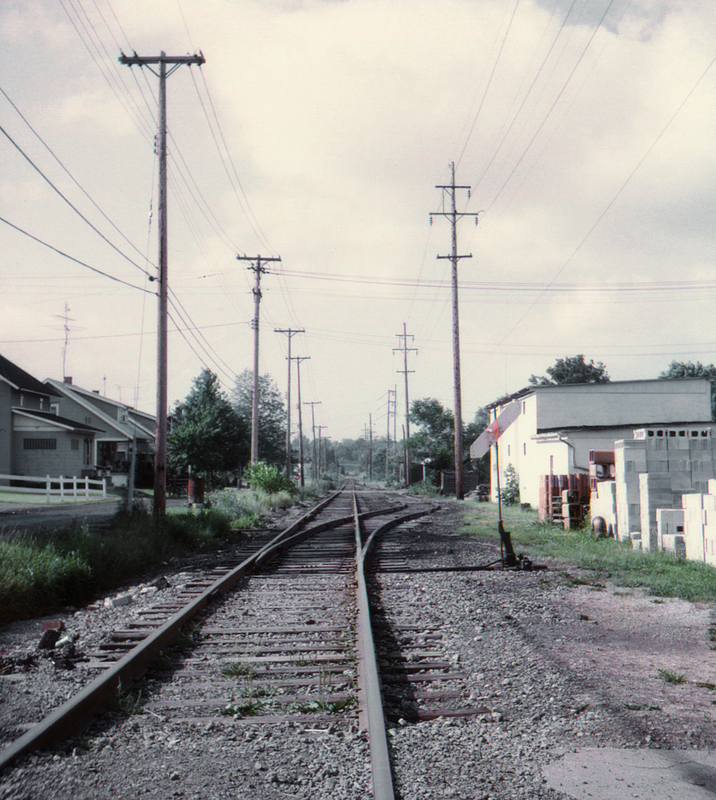 Unlike most of those lines, which withered up and disappeared when the automobile made its appearance, the Y&S was able to maintain itself as a freight carrier.Here at Columbiana, Ohio the Youngstown & Southern passed beneath the Pennsylvania Railroad mainline (the bridge barely visible in the distance). This view is looking south from the East Park Avenue grade crossing.